The camera loves ya, Chen Che! Ooohhh, someone’s got a crush on Chen Che! That didn’t take long at all. It’s pretty obvious in this episode that both Chen Che and Zhen Zhen are thinking that there might be something more between them. I wonder though if he’s making a conscious effort to keep his distance and not fall for her because of that pesky 27-year difference between them. But I’m quite open-minded about this young guy-older lady pairing, so whatever, dude…go for it! While one OTP seems to be making some progress, the other one is definitely hitting a roadblock in the form of Ya Juan’s mama. That lady ain’t joking around, so good luck to whoever does turn out to be Chen Che’s mysterious father. I’m rooting for you, Jin Qin. A very fancy-looking lady from a fashion magazine comes into the tailor shop looking for Zhen Zhen’s dad. Apparently his suits have become popular and famous for their quality that the magazine wants to do a feature on them. But instead of hiring a famous celebrity to model the suits, she wants some Average Joes for the job. Luckily for them, there just so happens to be a hot guy with nice abs living in their house. Thank god! But unlucky for Zhen Zhen, she gets the fun task of asking our diva, Chen Che, to do the family this big favor. When Chen Che doesn’t answer his bedroom door, Zhen Zhen straight-up opens his window to look inside. Gurrrl, that’d be so illegal in 2016. The sight she’s greeted with are the very abs that we were just talking about because she’s caught Chen Che changing out of his shirt. He freaks out when he sees her standing there creepin’ because duh. Zhen Zhen is embarrassed AF, but manages to ask him to pose as their suit model for the magazine. Chen Che tells her no thank you because he haaates taking pictures the most. But who needs those handsome looks when there’s…Xiao Long, who’s more than willing to be their model. Thx, but I shall politely decline. Ya Juan, sick at home, waits until her mom leaves the house to call Jin Qin to meet her at the park. He gives her back the necklace that her mom took and returned to him. Jin Qin tells Ya Juan that he understands why her mom did that, but he just wants her to have the gift. It doesn’t matter if she wears it or not, he just wants her to know his feelings. Oh god, don’t set yourself up for heartbreak, Jin Qin! While his mom and potential father are sharing some quality ginger soup in that park, Chen Che is practicing his posing and pouting in front the mirror. He thinks Zhen Zhen is crazy for asking him to model, but that’s not what the mirror says. Suddenly, his cell phone starts buzzing FROM THE FUTURE?! But literally the moment he tries to answer the call, the phone’s out of battery! Nooo. Looking at his call log, there doesn’t appear to be any new missed calls. And he’s still not getting a signal anywhere so…wtf. Prank calls from the future are da worst. Chen Che and Zhen Zhen see Ya Juan dozing off at work because she stayed up too late studying English. And since everyone thinks Chen Che is coming back from abroad in America, Ya Juan asks if he’d be willing to help her study. He quickly agrees with a smile on his face, leaving Zhen Zhen annoyed that he’s so nice to some people but so mean to her. She only gets more annoyed when he immediately agrees to go meet up with the rest of the crew at Zhong En’s bar because Ya Juan has something she wants to tell all of them. Bruh…we were just being polite. Turns out the big news that Ya Juan has to announce is that her mom wants to invite them all over for dinner. Based on everyone’s expressions, Ya Juan must live in a haunted house or something since they’re all breaking out in a cold sweat. Even though everyone agrees to go, the moment that Ya Juan steps away, they tell Chen Che that having dinner at the Chen residence with Ya Juan’s mom was one of the scariest experiences ever. Apparently she’s one of those moms that interrogates all of her daughter’s friends. The food better be good at this dinner. Ya Juan, Zhong En, and Jin Qin are at the photoshoot with Zhen Zhen and Xiao Long, and everyone’s having a grand ol’ time until Zhen Zhen realizes she forgot the suits. What. HOW?! Makes zero sense, but this does provide a convenient excuse for Chen Che to stop by with them. The magazine editor sees how tall and handsome he is and immediately asks if he’d be willing to model. Chen Che refuses until Ya Juan steps in and asks him to do them this favor. He’ll model but there’s no way in hell he’s going to rock the middle part hair! Xiao Long’s super into the photoshoot, but everyone forgets he’s even there when Chen Che steps out. Literally the lights dimmed and everything was moving in slow motion. Remember how Chen Che said he hates taking photos? 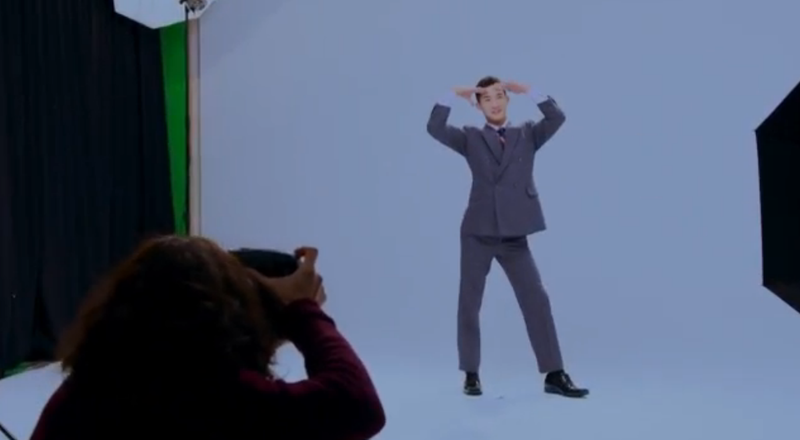 Well, it shows because he’s so damn awkward in front of the camera. Zhen Zhen rushes in to help him loosen up with her goofiness. The editor sees their chemistry and requests that she also be part of the photoshoot. Cue that dim lighting and slow-mo again because everyone (including Chen Che) is shocked to see how nice Zhen Zhen looks all dolled up. It’s her’s turn to be super awkward on camera, but luckily Chen Che knows the right things to say to help her relax. After the photoshoot is done, they ask the photographer to take a picture of the group for memory’s sake when Ya Juan moves abroad. They make Chen Che be part of the picture, but he doesn’t look too thrilled in it. Is it because he knows he will disappear from this photo when he leaves 1989? How does it work?! Everyone at Taiyuan is looking through the photoshoot pictures and thinks there must be something between Zhen Zhen and Chen Che. They all quickly disperse when they think the boss is coming by, but it just turns out to be Chen Che. He picks up one of the photos of him and Zhen Zhen that was left behind, and sees that they do look quite cute together. That night, Chen Che hears Zhen Zhen singing and talking to herself through the window between their rooms. He hears her criticizing his big face and old-fashioned poses, but comparing herself to a Japanese celebrity. She does also throw in that he looks pretty good when he smiles. Suddenly, little balls of crumpled paper flies through the open window, and Zhen Zhen realizes that Chen Che heard everything that she said. Chen Che’s pretty excited to be going to dinner at Ya Juan’s place, but everyone else looks nervous and gloomy. They were smart. Both Zhong En and Jin Qin brought over gifts, but Ya Juan’s mom only accepts Zhong En’s (bird’s nest…baller) and ignores Jin Qin. 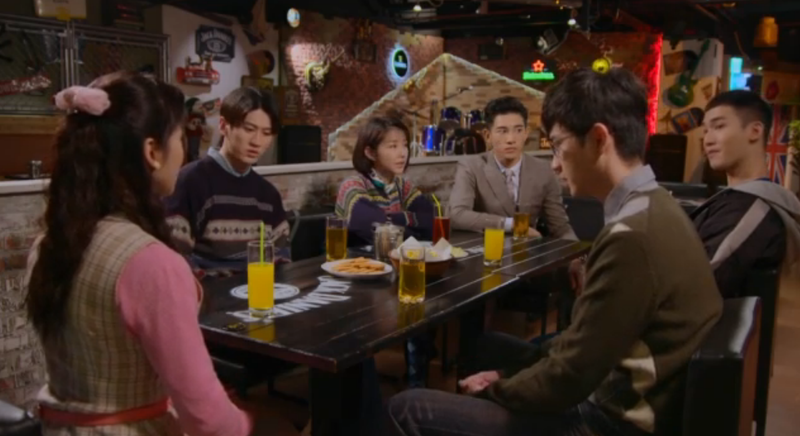 The evening only gets progressively worse when she’s friendly to everyone at the table except Jin Qin. Instead, he just gets a lot of shade thrown at him about how he’s useless, has no life goals, and isn’t good enough for Ya Juan. Oh, she’s not done just yet. She warns the rest of the group that Ya Juan has to go abroad soon, so she doesn’t have time to waste by hanging out with them. Oy. Chen Che sees how unhappy Ya Juan looks and wonders if her mom’s constant pressure on her is why she’s so unhappy in the future. 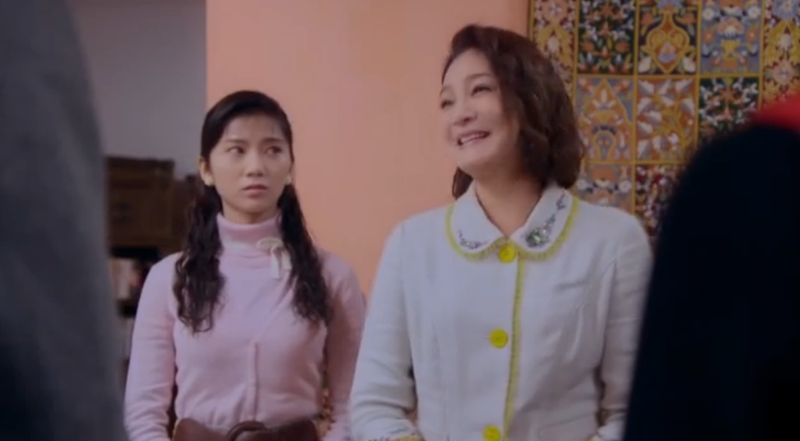 After everyone leaves, Ya Juan defends Jin Qin to her mom and says it’s unfair that she’s judging him based on his less impressive family background. Her mom refuses to admit that’s only picking on Jin Qin, and instead asks Ya Juan cares so much about just him. She straight-up tells her that if she’s going to choose someone, then she might as well pick Zhong En because he’s soooo much more qualified than Jin Qin. Ya Juan tells her that it doesn’t seem like anyone will ever be good enough for her standards, including her own daughter. Ya Juan meets up with Zhen Zhen to vent, and says she doesn’t want to live under the same roof as mom anymore. Apparently that guy, David, that she’s being set up with is quite similar to Zhong En. Ah, no wonder then. That may be her mom’s preferred type, but it’s certainly not hers. 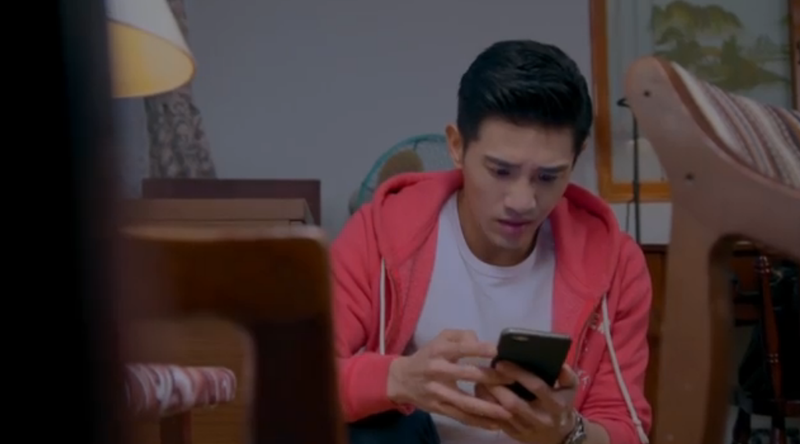 Ya Juan switches topics and asks Zhen Zhen if she thinks Chen Che treats her differently from everyone else. Zhen Zhen plays dumb and says no way, even though it becomes pretty obvious in their convo that she does like Chen Che. Ya Juan tells her that falling in love is like catching a cold. When you feel it, that’s when it’s serious. When Zhen Zhen gets home, she finds out that her entire family isn’t going to be home that night. It’s just gunna be her and Chen Che alone! Getting nervous, Zhen Zhen decides to just go sleep. The storm gets pretty bad outside, and she’s really scared of the thunder. When Chen Che goes to check on her, the power just so happens to go out right then and there. Xiao Long is super annoyed to hear that Zhen Zhen’s room and Chen Che’s are right next to each other. And there’s a window too! Jin Qin asks Zhong En to borrow his restaurant’s kitchen to make soup for Ya Juan. Bruhhh. The time on Chen Che’s phone is stopped at the moment he time traveled from 2016 to 1989 (Friday, January 8th at 19:31 PM). Zhen Zhen’s mom asks Xiao Long if he likes Zhen Zhen when he’s way too enthusiastic about the photoshoot. He doesn’t give her a straight answer, but duh. When Zhen Zhen was so stressed out about going to Ya Juan’s place for dinner, she started to get a stomachache. Chen Che helps her massage a pulse point in her hand to relieve the pain, and says that his mom was the one who taught him this trick. Chen Che impressed Ya Juan’s mom by praising the chicken dish she made and compares it to the one his own mom makes. Ya Juan’s mom literally scoffs at the dried mushrooms Jin Qin brought over. Poor guy just can’t win.